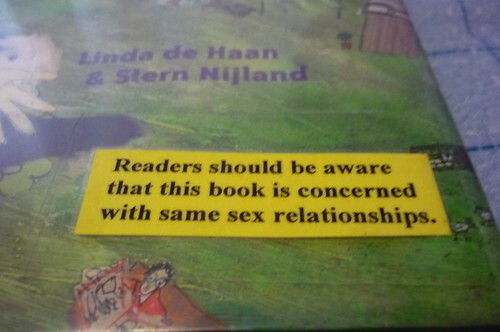 Warning labels on children’s book | Catalogue This! 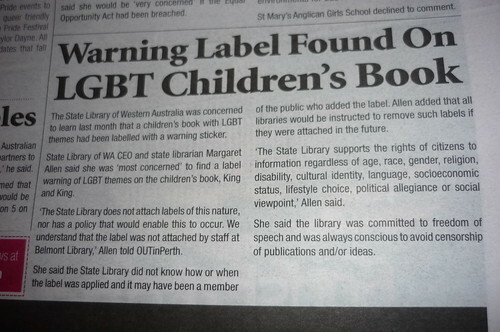 Great post; the library response still makes me Grrrr Argggh. 'Lifestyle choice' is a rather out of touch thing to assert (in writing, from a cultural institution).